In the early/mid 1800s, there were not many options to move people and goods between towns. Initially, to move freight, a series of canals was created, but as the textile industry grew in Lowell and along the Merimack River, a better means of transporting goods was required. In 1845, the Boston and Lowell railroad opened to transfer freight and passengers. Additional spur lines were added over time including the Stoneham Branch in 1862. 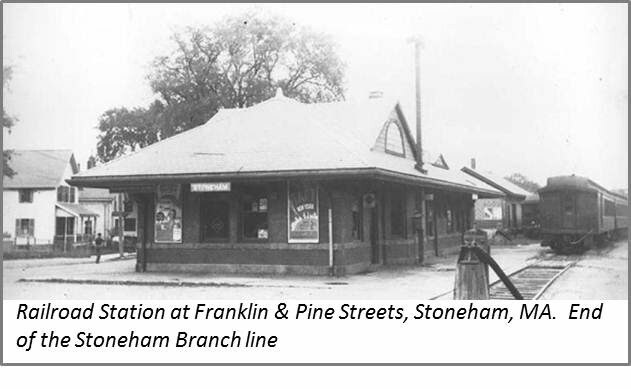 The Stoneham Branch connected to Stoneham's many shoe factories and provided passenger service to the town. The Boston and Lowell railroad later became the Boston and Maine railroad. As highways such as I-93 and Rt. 128 were built in the 1950s and 1960s, public transportation and railways gave way to vehicle traffic. Passenger service on the Stoneham Branch line stopped in 1958 and the land eventually reverted to the MBTA, which still runs the original Boston and Lowell route as the Lowell Line of the MBTA commuter rail. In the early 1980s the Town of Stoneham acquired the Stoneham branch line land from the MBTA under the provision that the land be devoted to public recreational use. Along the way, Town Meetings voted several times to support a bike path and parkland along the old railroad bed. In the past decade, funding was gained to design the route, pushing the Greenway another step toward reality.